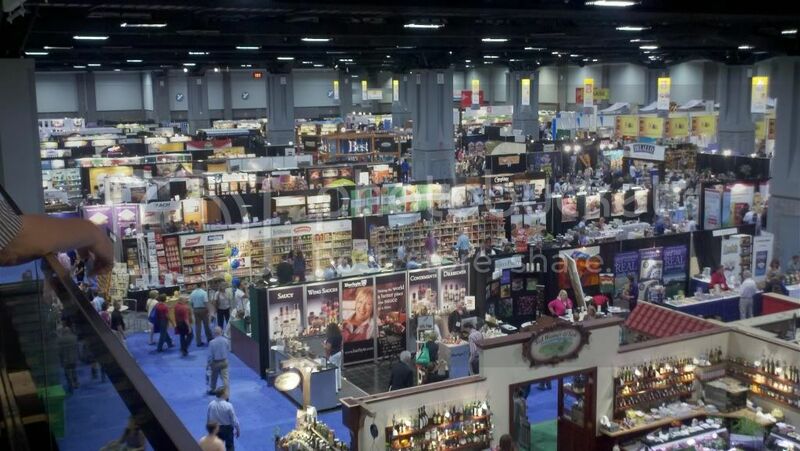 We went to the NASFT (National Association for the Specialty Food Trade) Fancy Food Show in Washington, DC this weekend. With over 2400 exhibitors from over 80 countries showing over 180,000 products, this was a *huge* event! Very well organized, we were pleased to be able to meet so many new people and try so many new products. Everything you could imagine in the world of food was represented there. We spent most of the day just getting through the first of 2 floors of exhibits. By the time we reached the 2nd floor, it was already 3:30 and the show closed at 5pm.